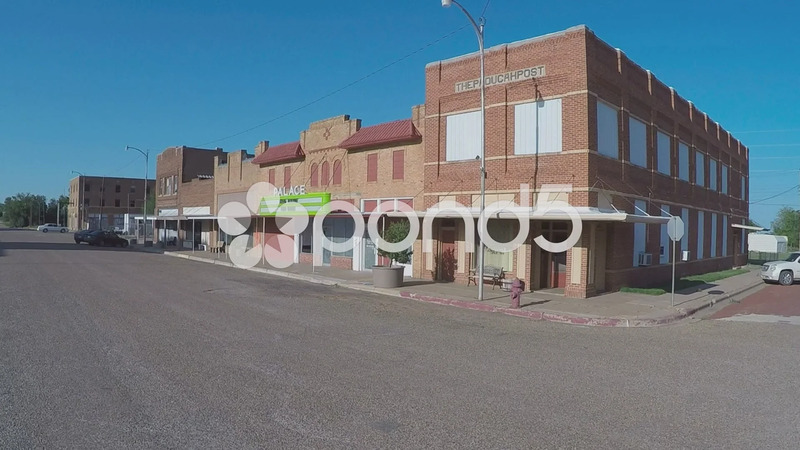 Description: Shot of old storefronts in a small town business district in Paducah Texas. Clip features a strip of brick buildings serving as shops in rural city downtown. Part of a series of clips by ChromaVid featuring building and business stock video.